I really don’t need pictures of the familiar dandelion for identification. Dandelions are a part every childhood ‑ picking early spring bouquets for mom, forming dandelion chains at recess or making wishes while blowing off the feathery seeds. Kids may enjoy them, but adults seem to hate them. 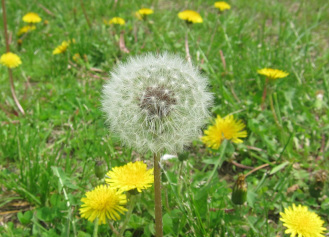 An estimated 80 million pounds of herbicides are purchased every year to eliminate dandelions from lawns throughout America. However, Europeans intentionally brought the dandelion to the New World because they thought it was such an important plant. 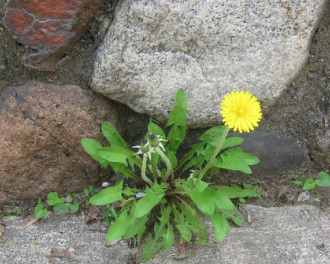 They used very part of the dandelion as either food or medicine. Even now, there are apparently still some who appreciate the determined little yellow flower. An internet search will immediately list at least a dozen sellers of dandelion seed. In the past this flower has been called by other names, inspired by the various stages of its development. When the flower has matured, it closes up and the bracts beneath the flower surround it again like a flower bud. This stage has given the dandelion the name of “swine’s snout” in some areas. While the dandelion is closed up, the yellow petals are pushed out and the flower opens up to reveal a round white tuft anchored by the seeds. The wind catches each light feathery shaft, pulling the seed from the flower disc to be dispersed. The bracts drop back down leaving the empty flower disc. In the Middle Ages the last stage of the dandelion was known as 'Priest's Crown,’ from the similarity to a priest’s shaved head. The early leaves, before the flowers bloom, are good for eating fresh in salads or pureed for pesto or dried for tea. They may also be boiled as a vegetable like spinach or made into soup. Some people even make a beer out of the fermented dried dandelion leaves. It is cheaper, less intoxicating and healthier than ordinary beer. Like other weeds, dandelion leaves are highly nutritious. They are the best green vegetable source of beta-carotene (from which Vitamin A is created) making it the third richest source of Vitamin A of all foods (following cod-liver oil and beef liver). They also are rich in fiber, potassium, iron, calcium, magnesium, phosphorus and the B vitamins, thiamine and riboflavin, as well as a good source of protein. According the Department of Agriculture (Bulletin #8, "Composition of Foods," Haytowitz and Matthews, 1984), dandelions rank in the top four green vegetables in overall nutritional value. The problem is that most people don’t notice the dandelions until they bloom and at that point the leaves have become bitter. The familiar yellow dandelion flower is actually a composite flower consisting of many tiny flowers rather than one simple flower. The flowers themselves also may be eaten in salads, dipped in a fritter batter and fried in oil or made into jelly or wine. The roots of the dandelion can be roasted and ground into a power to make a healthy, caffeine-free coffee substitute. Some people slice and cook the roots like carrots as a vegetable side dish or add them to stir fries. Go with your imagination! In addition to human uses, small birds are very fond of the seeds. Pigs eat the whole plant. Goats will eat it, but sheep and cattle do not seem to like it very much. Horses refuse to have anything to do with them. Rabbits love them and families of Canada geese will march cross a lawn picking off just the flower heads as they go. Pick at least 10 cups of dandelion blossoms. Look for fully opened flowers, the bigger the better for ease of preparation — just blossoms, no stems (stems are bitter). Pinch the flower end and snip off the base of each flower or else just pull the petals out, you want just the yellow petals. You will need to end up with four cups petals. Work quickly or the flowers will begin to close up making the job nearly impossible. Pour boiling water over the petals (about 4 cups) and let sit overnight. Strain the “dandelion tea” through a coffee filter or jelly bag to remove all petals. Add additional water if needed to make three cups. Stir lemon juice and sugar into infusion in a two-quart non-reactive or stainless steel pan. Bring to a full rolling boil that cannot be stirred down. Add pectin and continue to boil for two minutes, skimming any foam that may rise to the surface. Pour into hot sterilized jars. Seal with lids and rings and process ½ pints or pints for 10 minutes. Warm oil in skillet to medium high heat. Mix together flour, milk and eggs until well blended. Holding the flower from the bottom, dip it into the batter until it is totally covered. Then place it in the hot oil. Fry until it is browned and then flip it over to brown the other side. When browned to your satisfaction, remove from heat and drain on a paper towel. Serve plain or with maple syrup or honey. Or roll the warm fritter in sugar and serve like a little donut. For a savory rather than a sweet treat add spices such as taco seasoning to the fritter batter and serve with salsa or add herbs like basil and oregano and serve with marinara sauce. I would suggest preparing this soup ahead of time so it has time to cool before pureeing it. Blanch the greens in a pot of boiling salted water, then drain and squeeze out the excess water. a blender until smooth. Reheat and season with salt and pepper, and add Dijon mustard if desired. Wash and dry dandelion greens. Heat oil in a large skillet over medium-high heat. Add garlic and cook for one minute or until it becomes translucent. Add the dandelion greens and sauté two to three minutes or until soft, stirring occasionally. Cover and steam for a minute or two more. Add salt and pepper to taste. Autumn is the best time to gather large dandelion roots. Dig them carefully to avoid breakage as much as possible. Wash thoroughly to remove all the soil. 1) Cut the roots into chunks and process in a food processor until they are a coarse mixture. Spread the coarse-ground dandelion roots on a cookie sheet about ½ inch deep. Dry and roast at 250° for about two hours. Leave the oven door slightly ajar to allow steam to escape. Stir frequently to assure even drying and roasting. 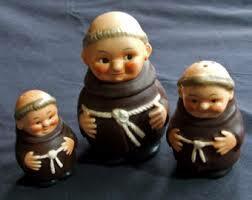 They will shrink down to about ¼ of their original size. After they dry they will begin to roast, going from a blonde color to a dark coffee color. You can grind the roasted roots in a coffee grinder to get a finer grind if you prefer. 2) Roast the roots whole on a cookie sheet at 250° for two to three hours. Grind the dried, roasted, cooled roots in a coffee grinder or food chopper. Adjust measurements to suit your own taste but to begin, use 1-3 tsp roasted root for each cup of water or 1/3 cup root for each quart of water. Simmer the gently for 10-15 minutes or until it yields a rich, coffee-colored brew. Strain and pour into cups. Serve hot with cream and sugar or however you like your coffee. ½ lb. mozzarella cheese, shredded. Wash and dry dandelion leaves. Remove stems. In a large skillet heat 2 tablespoons olive oil. Add mushrooms and garlic, and cook over moderately high heat, stirring occasionally, until the mushrooms begin to brown. Add the dandelion greens and cook until wilted, stirring occasionally, (about two to three minutes). Season with salt and pepper and set aside. On a lightly floured surface, roll or stretch the dough to form two 10 inch rounds. Transfer dough rounds to a floured baking sheet or pizza pan. Sprinkle a layer of shredded cheese on half of each round, leaving a 1-inch border. Add the dandelion and mushroom mixture to the cheese layer, and top with the remaining shredded cheese. Fold the dough over to enclose the filling, forming a half-circle. Press and crimp the edges together to seal. Using a knife, poke a few holes in the top. Brush with remaining tablespoon of olive oil and bake for 10-12 minutes or until the calzones are crisp and turning golden. Cut them in half and serve hot.